Dad of Divas' Reviews: Book Review - I Can Be Anything! 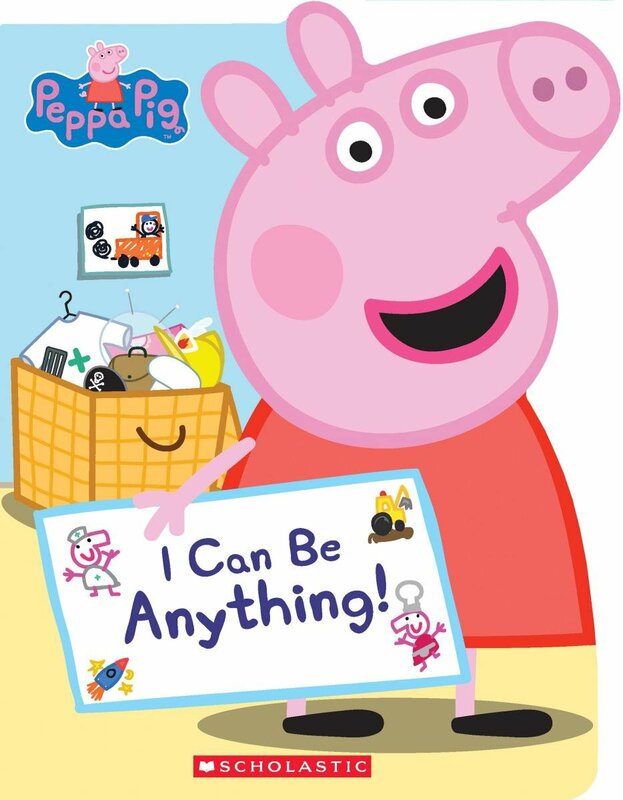 From firefighter to ballerina, from chef to astronaut--Peppa Pig can do it all! In this board book shaped like the one and only Peppa Pig, Peppa is dressed for a different career on every page. When she grows up, Peppa can be anything! Based on the hit Nick Jr. television show! If you love Peppa Pig young children with their parents will love this book! This book share some great messages about what the reader can be if they put their mind to it. While the story is short the message is clear and is definitely something that all parents will want to share with their young children!